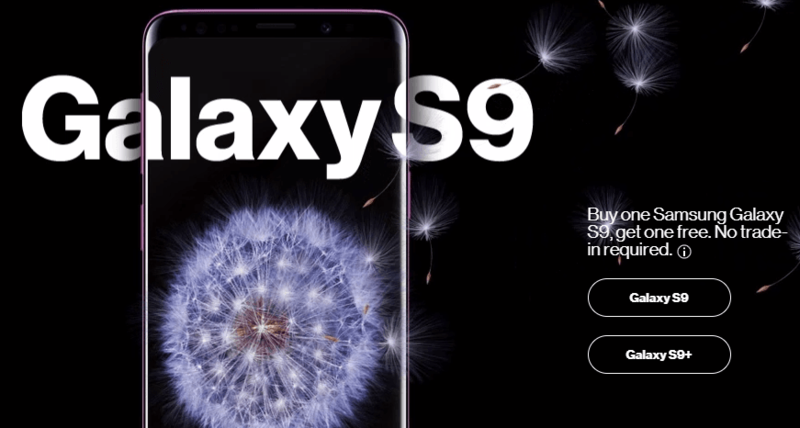 Samsung has just launched the Galaxy S9 and S9 Plus smartphones. Early customers have taken to various forums to complain about a touchscreen issue with the handsets. Users have noticed many dead spots on the screen that do not respond to touch inputs. Samsung cannot afford another debacle with its flagship smartphones. In late 2016, it had to recall the Galaxy Note 7 twice before killing the device. The Korean company was quick to respond when reports of the touchscreen problems surfaced. Samsung said in an official statement that it was looking into “a limited number of reports” of the Galaxy S9 touchscreen issues. The company has encouraged affected users to contact Samsung Support directly. At Samsung, customer satisfaction is core to our business and we aim to deliver the best possible experience. We are looking into a limited number of reports of Galaxy S9/S9+ touchscreen responsiveness issues. We are working with affected customers and investigating. The company said affected customers could contact it directly at 1-800-SAMSUNG. If not resolved at the earliest, the issue would draw intense scrutiny from the media as well as the smartphone industry. The S9 and S9 Plus are among the most expensive smartphones with a starting price of $720. On top of that, the memory of the exploding Galaxy Note 7 handsets is still fresh in the minds of consumers. Fortunately, the touchscreen issue is covered under Samsung’s standard one-year warranty. If your handset suffers from the problem, you can get a replacement unit free of charge. One user wrote in Samsung’s online forum, “Does anyone else have issues with the Galaxy S9 touch screen?” The user added that their phone had “a few dead spots” in the bottom half of the display. Many others have complained about similar issues on Reddit, XDA Developers forum, Android Central, and others. A few users have also posted GIFs and videos of themselves demonstrating the problem. Folks at Android Police tried to fix the problem via factory reset, but it was unsuccessful. The issue affects both the Galaxy S9 and S9 Plus, but it appears to be more widespread on the larger S9 plus. The touchscreen issue is a nightmare for affected users because the Galaxy S9 doesn’t have a physical home button or navigation keys. The touchscreen is the only way to navigate the handsets. It appears to be a hardware issue rather than a software one because the problem affects the S9 Plus more than the S9. If it were a software problem, it would affect both models equally. The “dead zones” on the screen fail to register touch inputs or break off the input when gestures like scrolling pass through it. Some users were able to resolve it by increasing the touch sensitivity to the maximum in settings, but it didn’t work for everyone. The device will now enter Test Mode. Tap on the Touch box. Use your finger to draw all over the screen. It will leave a tracking line for your references. Any boxes you touched will turn green. The test ends when all the boxes have turned green. If there are any “dead zones,” the tracking line and green boxes will not appear in that area. You’ll be taken back to the Test Mode screen. The display issues aside, the Galaxy S9 and S9 Plus are the best smartphones you can find in the market right now. The larger Galaxy S9 Plus is even better than Apple’s ridiculously expensive iPhone X. The S9 Plus gets two 12-megapixel sensors on the back. The wide-angle lens has dual apertures of f/2.4 and f/1.5. The camera switches between the two apertures automatically depending on the lighting conditions. It packs 6GB RAM, a 3500mAh battery, and Snapdragon 845 or Exynos 9810 chip. The regular Galaxy S9 gets the same chip, but has 4GB RAM, a single camera on the back, and a 3000mAh battery. Google recently said that it would bring ARCore support to the Galaxy S9 and S9 Plus in the next few weeks. ARCore is Google’s response to Apple’s ARKit. It will enable augmented reality experiences on Android devices without requiring any additional hardware. The Galaxy S9 and S9 Plus have enough processing power and RAM to offer AR experiences.